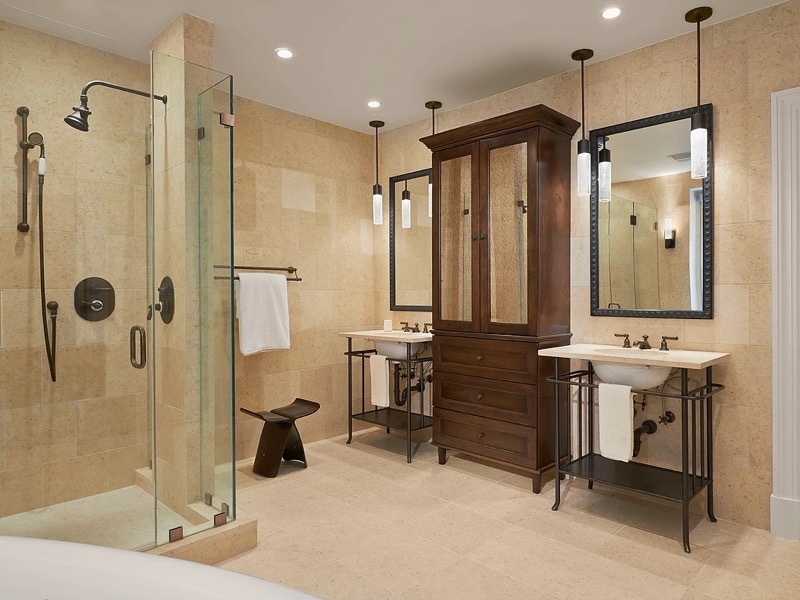 Bethesda, Maryland presents two different types of home remodeling settings between the inner and outer neighborhoods. The outer neighborhoods developed later and were built into existing woodlands on larger lots with much of the original tree canopy preserved in the process. The architectural style tends toward modern or newer homes done in a traditional style. The inner neighborhoods of mid-century brick and block homes that cluster around Bethesda’s urban center present a different challenge. There are a lot of small houses, small lots, and odd shaped lots. Over the years, waves of infill builders have purchased the better lots, torn down the little brick houses and replaced them with new construction--sometimes filling the entire lot with a new house. This led to strict regulation over land use and lot coverage allowances in Bethesda. And this is where it gets interesting for a home remodeling company because those restrictions apply to those little old houses that were passed over by the developers. The challenge for a home remodeling company is to creatively improve these homes by making the best possible use of what is often a small house on a small lot. 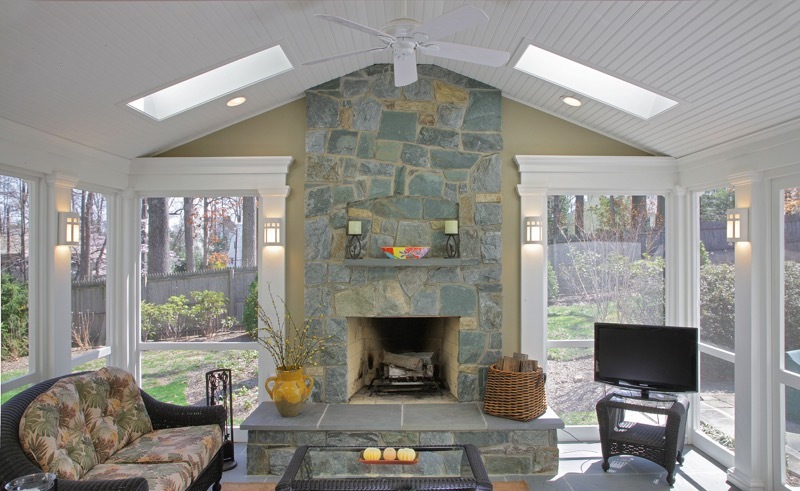 Regardless of which Bethesda neighborhood you live in, it is critical that you choose a home remodeling company that can assess your home in the context of its architectural style and year it was built. 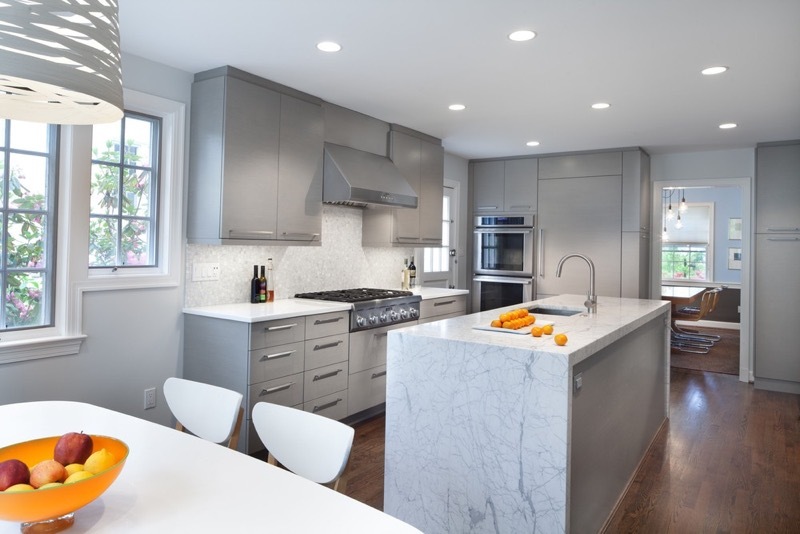 The driving force behind nearly every home remodeling project we do in the Bethesda is the desire for a remodeled kitchen. Kitchen design techniques and kitchen product lines change so much each year that, if your kitchen is fifteen years old or more, kitchen remodeling will be well worth the investment. Like homeowners throughout the Washington area, Bethesda residents want more space or they want better designed space--or both. Sometimes they want to correct errors made by a previous owner’s attempt at home remodeling. We might recommend tearing down an ill conceived home addition and starting over with an entirely new addition. With homes that already have generous interior space, we may forgo the addition and reconfigure existing interiors to improve room to room flow and modernize the floor plan. Either way, a well designed home remodeling plan gives us the opportunity to re-invent an older home and, in the process, upgrade it to meet the comfort, aesthetic and functional standards our clients expect.